If you or your business has unwarranted problems with any level of government – from ObamaCare and the IRS to local zoning ordinances – your economic freedom is being trampled. Further, there’s a connection between the arrogant trampling of our economic freedom and our unhealthy economic climate. Frasier Institute’s body of work encompasses more than 25 years by three Nobel laureates among more than 60 scholars. The study measures the key indicators of economic freedom in the U.S. and Canada. “The heavy-handed regulation and extensive overspending by Washington in response to the domestic and European debt crises not only caused America’s global economic freedom level to drop, it’s now affecting economic freedom levels at the state level,” he added. Ironically, the report indicates economic freedoms have improved in the 10 Canadian provinces. Among 144-ranked nations in the 2012 “Economic Freedom of the World Index,” Canada ranks fifth. After being ranked second in 2000, the U.S. declined to No. 16. “The link between economic freedom and prosperity is clear: States that support low taxation, limited government, and flexible labor markets benefit from greater economic growth,” said Fred McMahon, co-author of the report. “In contrast, states with reduced levels of economic freedom see lower living standards for families and fewer economic opportunities,” he added. The report notes that the average per-capita GDP in 2010 for the top 10 states was $51,737 compared to $44,889 for the remaining states. Delaware, the most-economically free state, ranked first among all states for having the smallest size of government and most flexible labor market – while Alaska, Delaware, and Texas impose the lightest overall tax burdens. The states with low scores on these measures have corresponding low levels of economic freedom. New Mexico and West Virginia score worst for size of government. New Jersey and Rhode Island score worst for taxation. West Virginia, Alaska, and Hawaii score worst for labor market freedom at the all-government level (comprising federal, state/provincial, and municipal/local). All of this means America needs leadership – not disingenuous politicians promoting dysfunctional public policy for their political gains. Everyone agrees the U.S. was in a much better fiscal situation in the mid-1990s during the Clinton Administration. Unlike the Obama Administration and Senate Majority Leader Harry Reid, who refused to allow a vote on the federal budget for several years until December 2013, President Clinton and Congress cooperated in a nonpolitical fashion. Mr. Clinton was effective because he was budget-minded, and he reached across the political aisle to negotiate with his opponents. It’s a matter of record that Mr. Clinton met with House Speaker Newt Gingrich on 35 occasions to discuss issues facing the country. In contrast, Mr. Obama doesn’t bother to meet with Congress. Evidenced by his incessant sarcastic name-calling and innuendos, Mr. Obama ostensibly prefers campaigning to sitting down and negotiating an economic recovery. Nor does Mr. Obama appear to care about the 23 million unemployed and under-employed Americans. He hasn’t even convened his own jobs council since January 2012. Worse, his administration has been caught in 10 misrepresentations in the promotion of the disastrous ObamaCare. You’ll recall the misrepresentations — such as being able to keep the same doctors, keep the same health-insurance coverage and $2,500 in average savings on premiums. The obvious conclusions: 1. Congratulations to Canada. 2. 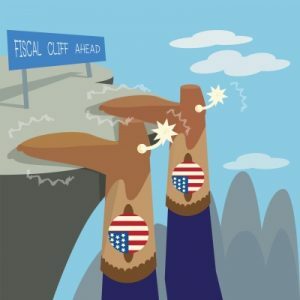 America’s murky fiscal situation is unacceptable. From the Coach’s Corner, the decline in the average American’s economic freedom is not a recent development. I’ve been writing about it for several years in this portal’s Public Policy category. You’ll find well over 100 articles with solutions.